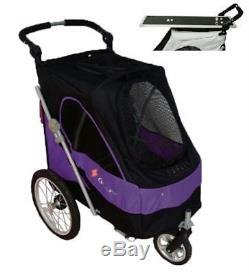 PetStro Safari Ultimate Pet Stroller 88cm Dog Show trolley Cage & grooming table. This listing is for the Large size.... (see end of Description for detailed size). 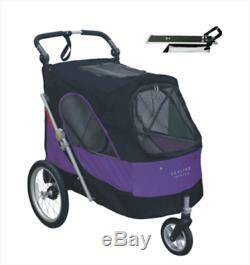 Incredible Stylish stroller , the Safari medium model and the Skyline Large model are now setting the standard throughout your Dogshow world... Successful launch of the Safari and Skyline too Sweden Norway Finland Denmark. Countries of four seasons UK , Scandinavia and USA ; shows in the summer are outside and in Winter national exhibition Centres. Indoor Exhibition Centres ; walking from the car park in the morning up to a kilometre too the Ring , here goes... With metal cages 12345 or more dogs. A grooming table bags chairs coats cosmetics tickets lunch the husband and one clattering metal trolley? Beautiful funny and a tragedy all at the same time... Spring Summer & Autumn outdoors shows ; the best of times but unfortunate due too the weather sometime the worst of times , The Rain , the destroyer of dog shows , the enemy , , the grass is destroyed , the wheels on the trolley block up with mud or the big metal ones can even sink! It can be a catastrophe for both human and In the worst times the dogs Coat. Lets jump a long a few years , and look at what we have now American company DogShowTrolleys invent a great product , basically a fancy variant of a metal cage and a set of big wheels. 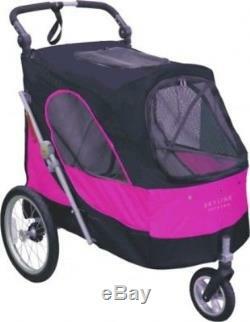 Its copied first by DogShowTrolleys UK in turn copied by TitanTrolleysUK. The Dog shows on the continent especially Scandinavia where this product is now standard and very normal. And in Russia where the product is a symbol of status. This has meant that the Dogshow traders are basically reporting never seeing a product fly out like this product in the last 15-20 years.... Its literally an amazing all in one does absolutely everything you could need product at the dog show. Main outstanding Unique Product Features of the Safari and Skyline. Built too easily if necessary Hold 45 kg weight. But overall weight is only 16kg with wheels on. The point is that when you take off wheels 2-3 second job you have a crate with its frame which weighs less than 9kg. 9 kilograms is easily enough weight for any woman too load into her car on top of all the bags crates dogs people chairs etc in her car at the end of the show , their is no need for anyone too help you lift your crates any more into the car , with the safari and skyline those days are permanently over , this product makes packing the car will not be the problem at the end of the show. Why the Safari or its larger brother the Skyline? Because the Grooming Table is Stabil Non Slip durable removable and easy too clean. 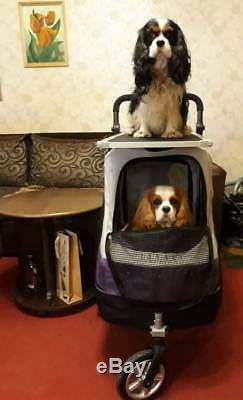 Because you will never need a trolley , just pop open your high end Safari , in with the dogs and go , you have their a SoftCrate and the trolley of the highest quality built tooled especially for the dogshow exhibitor all in one ready to go. No Metal cage 8 - 12kg. 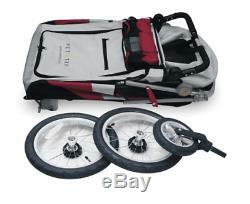 Really an all in one product that saves you in weight easily a minimum of 30kg at least! No unstable situations , no getting tired , no having to have someone carry stuff for you... You will Look Super Cool!!!! And silent , no more metal construction rattling clattering and embarrassing you disturbing everything and everybody around and giving your dogs inside the clattering contraption stress. Removable grooming table size 75cm 40cm. Clips in side too harness your dogs protection and safety. 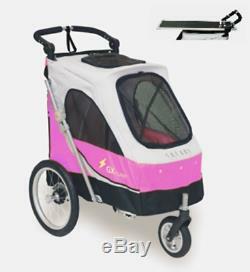 Wheels max Weight capacity 45KG That means you can put up to 45kgs into this product and the wheels, the drive, nothing will not be affected... Dimensions Folded 98cm 60cm 20cm. Inside the Crate 88cm long 70cm high 52cm wide. Weight with the wheels removed ready too lift and put in car 9kg. Dimensions Folded 86cm 60cm 20cm. Dimensions Inside the Crate 70cm long 60cm high 43cm wide. Weight with the wheels removed ready too lift and put in car 8kg. Three Mosquito screens provide plenty ventilation. Three removable closable bags for storage of Dogshow stuffs. ItaFlick Brake Handle for Rear wheels. Rotation of Handle 180 degrees for ultimate control and importantly Perfect Steering Height. 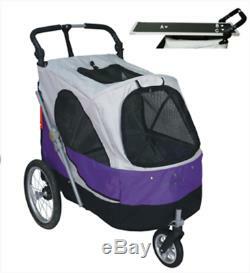 Sets up flawlessly without the anywhere near , not even 10% of the effort required for a traditional metal dog show trolley, from collapsed and packed in less then 30 seconds with no need for extra tools. 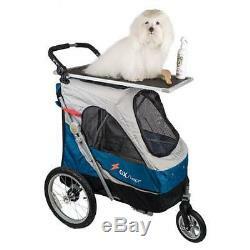 This is the Ultimate DogShow trolley , you will not regret purchasing. Baby Pink Black Out of Stock. Tailor your auctions with Auctiva's. The item "PetStro Safari Ultimate Pet Stroller 88cm Dog Show trolley Cage & grooming table" is in sale since Thursday, June 14, 2018. 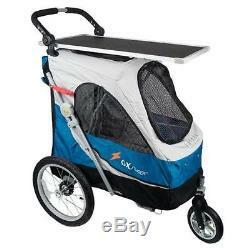 This item is in the category "Pet Supplies\Dog Supplies\Transport & Travel\Strollers". 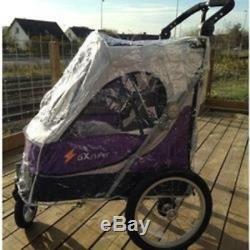 The seller is "safaripetstrollers" and is located in Stockholm. This item can be shipped worldwide.